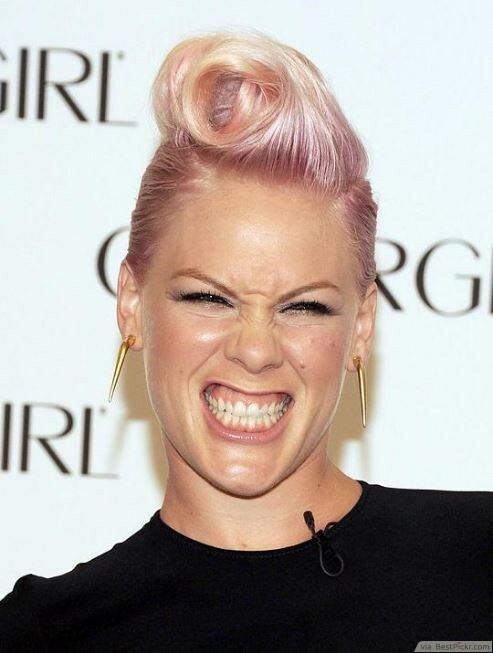 Pink combines rocker chick with girly-girl pink and pulls it off like no one else. The hair roll is a great vintage look perfect for the rockabilly lover. The pastel pink adds a whimsical touch that really ups the style factor. Make sure you've got a great molding paste, hairspray and a slew of bobby pins, and then show off your bold fashion statement!